Apolo Ohno is headed to Lifetime. Today, the network announced the Olympic medalist will narrate and executive produce their upcoming series Gold Medal Families. Ohno is an eight-time Olympic medal-winning speed skater. He’s appeared on Dancing with the Stars twice, winning season four in 2007. Gold Medal Families will highlight six Olympic hopefuls and their families. The docuseries premieres on June 28th at 9 p.m. ET/PT. LOS ANGELES, CA (June 22, 2016) – Olympic champion speed skater, Apolo Anton Ohno, is set to executive produce and narrate the upcoming Lifetime docuseries Gold Medal Families, premiering Tuesday, June 28, at 9pm ET/PT. The series showcases six Olympic hopefuls and their families, revealing the extraordinary lengths, economic hardships and personal sacrifices they all go through to get their elite athlete to the podium of the world games. Ohno has competed in three (2002, 2006 and 2010) Olympic Winter Games where he garnered eight medals in American short track speed skating. He currently holds the record for most medals won by a U.S. Winter Olympian. What do you think? 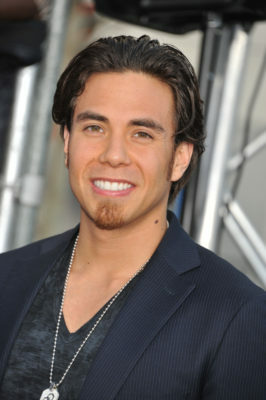 Are you a fan of Apolo Ohno? Will you watch Gold Medal Families? More about: Gold Medal Families, Gold Medal Families: canceled or renewed?, Lifetime TV shows: canceled or renewed? Crazy is all I can say. She’s around at Dollywood and totally gone at H&F. What a crock. Never ever watch again. The show really stinks now without the infamous Cristina ferrare. End of story! Oh my. I watched the show religiously and now I just can’t . Don’t even want anything to do with hall arch channel at all. Why would anyone think that it’s just o k to let her go, that’s a crazy thing to do because she was the whole show! Never tune in again , now or ever again!